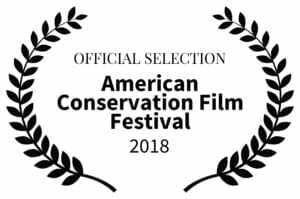 Unraveling one of the biggest environmental scandals of our time, a group of citizens in West Virginia take on a powerful corporation after they discover it has knowingly been dumping a toxic chemical called C8 – now found in the blood of 99.7% of Americans – into the drinking water supply. Tucked in the rolling hills of West Virginia, the town of Parkersburg is described by those who live there as an idyllic place to raise a family. It’s also home to a sprawling DuPont chemical plant that manufactures Teflon and is the original source of C8, a persistent source of contamination and a proven carcinogen. Stephanie is an award-winning documentary filmmaker and co-founder of Atlas Films. She was a 2016 Sundance Institute Catalyst fellow and The Devil We Know premiered at Sundance in 2018. Her 2016 film, Under the Gun, also premiered at the Sundance Film Festival. Two years earlier, FED UP, premiered at Sundance as well. The film spotlighted our addiction to sugar and the ensuing obesity epidemic and succeeded in bringing the issue into the mainstream. Stephanie’s directorial debut documentary, Tapped, focused on the high cost — to both the environment and our health — of the bottled water industry.